Two young Irish girls join the thousands leaving their native land to take up nursing posts in war torn London. How will they fair amongst the bombs and rationing as they care for TB patients in the Lewisham hospital to which they are sent? 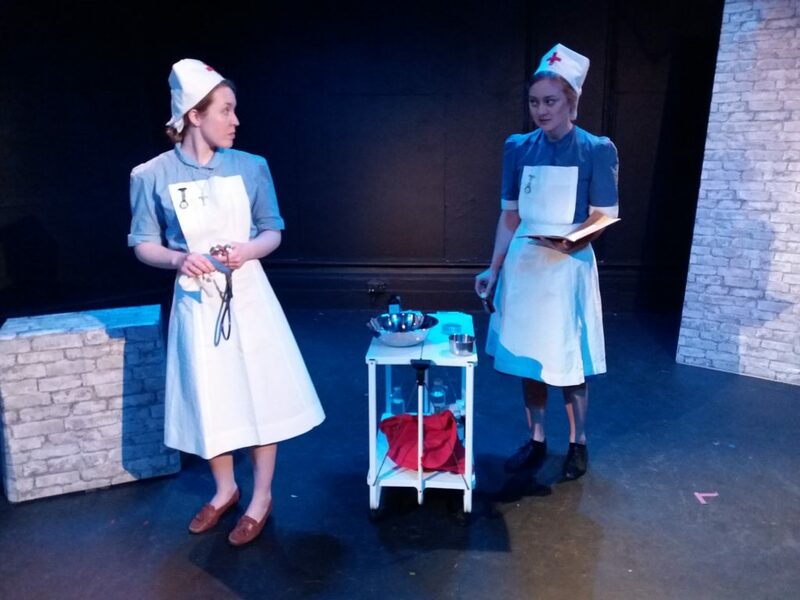 This‘ imagined play’ is a tribute to the real life Staff Nurse Mary Fleming and Senior Assistant Nurse Aileen Turner, two Irish women awarded the George Medal in 1941. 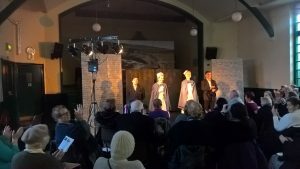 The cast take a bow at the Lewisham Irish centre.